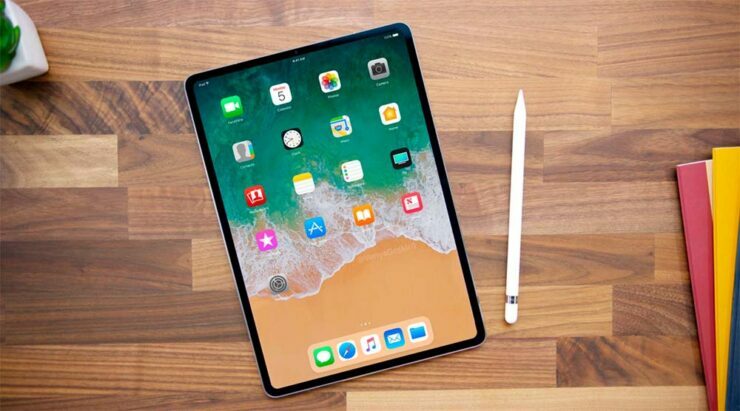 Breaking the performance and efficiency boundaries of its chipsets, the next iPad Pro models that have been rumored to get announced in 2018 are expected to be packing octa-core processors. Where the A11 Bionic in the iPhone X, iPhone 8 Plus and iPhone 8 featured a total of six cores, the slate family will have a total of eight cores. Will Apple finally be adding a high-performance quad-core addition for tackling the more taxing applications? According to a Chinese source, Apple will be incorporating a total of eight cores in the upcoming A11X Bionic. This SoC will be touting tons of efficiency because it has been rumored to be manufactured on TSMC’s 7nm FinFET process. TSMC was the chief primary supplier of 10nm chips that paved the way for Apple into making the powerful hexacore processors but it looks like two cores are going to be added to the mix with the iPad Pro 2018 announcement. However, a quad-core processor configuration is not going to be present to tackle the more intensive operations. Instead, Apple has been rumored to place three high-performance Monsoon cores, while the remaining low-power energy efficient cores will be codenamed, Mistral. Unsurprisingly, the new iPad Pro will boast tons of compute and graphical performance increases paired with efficiency, even more so in synthetic benchmarking tests. To recap, the 2017 iPad Pro lineup was able to beat the 2017 MacBook Pro models in various performance-based tests, so imagine how they will perform with faster and more efficient cores? While the upcoming models might not tout an OLED display, a previously covered rumor suggests that they will feature Face ID security features and an edge-to-edge glass, making them powerful and better looking at the same time. We expect to get the same 10.5 and 12.9-inch models in 2018. Are you excited to see what these tablets will be capable of? Tell us your thoughts down in the comments.